Alex Bregman was a big hit. Photo by Paul Muth. Originally appeared on CultureMap Houston. "This is extra special to me," Foreman told CultureMap on the red carpet. "These are legends, can you believe? I didn't even know that I'd meet them one day." "I'm happy to have them here," Bregman told us. "It's an incredible experience, and one that I don't think people understand unless you're in the Houston area," Head Coach Jon Kay told CultureMap. "This trophy's going to be in the field house, right next to our state championship." "It's been a lot of hard work since my high school days," King explained after receiving the award. "It's very humbling, and I'm excited that I get to play in my hometown in front of my family and friends. It's just been a wild ride." The evening reached its peak when the Athlete of The Year segment began. 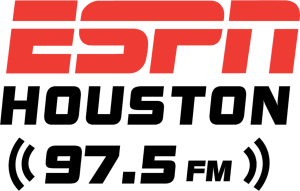 The Houston Sports Authority was tasked with choosing between breakout Astros' Alex Bregman, Rockets (and NBA) MVP James Harden, Texans first team All-Pro wide receiver DeAndre Hopkins, and gold medal gymnast phenom Simone Biles. To find out who won, read the rest of the story on CultureMap. Given their overall stature as organizations within their sports, it seems appropriate that the Astros' biggest contract news this week was striking a five year extension with Alex Bregman, while the Texans' biggest move was signing backup quarterback A.J. McCarron. Hey, McCarron is a notable upgrade over Brandon Weeden! Though if DeShaun Watson goes down with a major injury they are still Texans Toast. The Astros get cost certainty, and a relative bargain if Bregman is to be one of the great stars of the game well into the next decade. If Bregman is indeed to be a long-term stud he'd have made more money going year to year over the next four seasons until free agency beckoned. Hedging his bet is without question a smart play when the hedge makes Bregman a centillionaire. Pre-Uncle Sam's cut anyway. Bregman at six years $100 million seems downright cheap relative to Jose Altuve's five year 151.5 mil extension kicking in next season. Carlos Correa must have some interesting unspoken thoughts. 21 times in 34 years of the 64 team NCAA Tournament bracket a 14 seed has shocked a three seed in the first round. Hence, the Houston Cougars are not an automatic over Georgia State. In 2015 the Panthers (Ga. St.) were a 14 when they took down Baylor. This season's GSU squad ranks in the top 15 in the nation in three point shooting percentage. But their numbers were primarily accrued vs. Sun Belt Conference competition. The UH defense is strongest on the perimeter and should choke off Georgia State's strength. The Iowa State-Ohio State winner should be next on Sunday. The Cyclones would pose a serious challenge Sunday, with the Buckeyes no joke if good enough to take out ISU. While at Oklahoma, Kelvin Sampson twice had fourth seeded Sooner teams seeded lose to 13 seeds. And took a two seeded team to the Final Four. Down to 10 regular season games left for the Rockets heading into their game with the Spurs Friday night. Coming back from 19 points down in the 4th quarter at Memphis only to lose in overtime was a waste of time, having Chris Paul play over 41 minutes was not good, and the L basically snuffed out the slim in the slim and none chance of catching Golden State for the top seed in the Western Conference. Denver is the probable number two seed, though the Nuggets have a much harder finishing schedule than do the Rockets. If the Nuggets go 6-6 to close, the Rockets have to go 9-1. Portland is tied with Houston in the loss column, has a favorable schedule, and owns the tiebreaker over the Rockets. Meaning: the Rockets dropping to fourth is a distinct possibility. After playing in the Seattle Mariners' two regular season opening games in Tokyo, Ichiro Suzuki officially retired Thursday. He can safely start working on a Hall of Fame induction speech for 2025 in Cooperstown. A tremendous player who didn't come to North America until he was 27 years old, Ichiro racked up at least 206 hits in each of his first 10 Major League seasons and finished with 3089 good for 23rd all-time, until Albert Pujols passes him this season. He was a spectacular right fielder with a throwing arm that rates with the greatest the game has seen from Roberto Clemente on down the line. On the radio show Thursday I addressed Ichiro as overrated by those who rate him one of the great offensive players ever. Context matters. I noted that Craig Biggio's peak offensive years were better than Ichiro's best. Boy did that draw some blowback in emails, tweets, and on-air from bi-weekly guest/CultureMap.com featured columnist/baseball dilettante Ken Hoffman. Ichiro was a magnificent singles-slapping machine. In 2004 he racked up 262 hits to break a Major League record that had stood for more than 80 years. However, on-base percentage is a more valuable statistical measurement than batting average. In 2004 Ichiro hit .372, with an OBP of .414. In 1997 Biggio's OBP was .415 (while batting .309). Despite Ichiro having a career batting average edge of .311 to .281, Biggio's career on-base percentage of .363 tops Ichiro's .355. Biggio also hit with notably more power. Ichiro one time reached 15 homers in a season. Biggio hit 20+ eight times, four of those when the Astrodome was his home ballpark. Ichiro topped 30 doubles twice with a season high of 34. Biggio topped 40 six times including two seasons over 50. Over their best 10 year stretch, best five year stretch, or single best season, Craig Biggio was a greater offensive player than Ichiro. Not a better pure hitter, but a better offensive player.